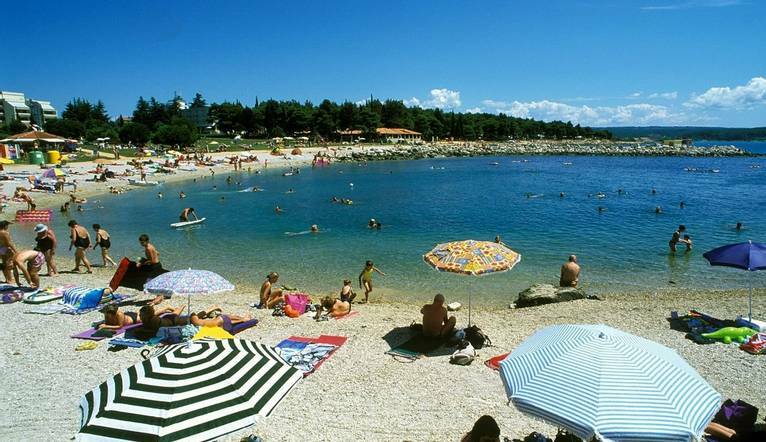 Come and join us on us a sun holiday to the Istrian Riviera, known as Croatia’s Gateway to Europe. We stay in the charming resort of Umag, which lies on the northwest Istrian coastline. With Blue Flag pebble beach by our hotel, we can be sure to have a relaxing time. The stunning 250-kilometre long coastline of the Istrian Riviera in sunny Croatia, is one of Europe’s best kept holiday secrets where numerous tiny pebbled coves and picture-perfect beaches which stretch along the coastline, fringing the crystal-clear Adriatic Sea. The region is also crammed with history, as everyone from the Romans to the Venetians have lived here, leaving their mark in the area’s beautiful resorts, where terracotta-topped bustling old towns vie for your attention with stunning ancient architecture. We are based in the charming resort of Umag, which lies in a picturesque bay on the north-west Istrian coastline. This is an area renowned for its Blue-Flagged beaches, and its not surprising when you see their stunning emerald waters. Check out some of the more beautiful and famous ones at Laguna Stella Maris, Katoro, Aurora and Kanegra. Our hotel lies in a wonderful position right on the coast. Its beautiful sun terraces are the perfect spot to grab a sunbed and laze the day away with a drink and good book. Alternatively there’s a small beach closeby if you fancy pitching your umbrella by the sea. If you are feeling more energetic, Umag’s charming seafront promenade is perfect for a stroll into town. It’s lined with numerous bars and restaurants; so take your pick for a spot of lunch and sit back in the sun and indulge in some serious people watching, with a glass of the delicious local Malvasia wine on hand. A stroll around the Old Town of Umag is a must; not only to admire the remnants of centuries-old but also to wander through its narrow bustling streets hunting for bargains and souvenirs; you’ll be impressed with the prices! Great holiday on the Istrian Coast. It was well organised with easy booking, simple check-in and pick up on the other side with a warm welcome at the hotel - even though it was midnight when we got there. I'd certainly go back to Croatia and would book with Solos again. Our comfortable hotel is perfect for those looking for a relaxing holiday, as well as having the convenience of bars and restaurants a short walk away. Dining options at the hotel include a buffet style air conditioned restaurant and an a la carte restaurant. There is also a lobby bar and pool bar that also offers snacks. Leisure facilities include an indoor swimming pool, outdoor swimming pool, tennis centre (additional fee) and a gym. All the comfortable guest rooms come with a balcony, air-conditioning, satellite TV and safe. Sea view rooms are available at a supplement. Please note there is a charge for sunbeds and umbrellas on the beach, approximately €3.50 per day. The transfer from Pula Airport to the hotel is approximately 1 hour approximately depending on traffic. There is often confusion on the question of gratuities, since it frequently depends on the type of holiday, location and, of course, your attitude towards tipping, as to what is normally expected. In order to give you a rough idea, we have given appropriate guidance below. Your Tour Leader will be on hand to offer advice or suggestions if required but gratuities are offered entirely at the sole discretion of the individual. We suggest a group collection to cover drivers, porters and hotel staff of €15.00 per week. Your Tour Leader will collect this on your behalf and distribute it accordingly, thus relieving you of the burden of who, when and how much to tip. The tipping of housekeeping will be left to your individual discretion (a small amount left in your room on departure should cover this and would be much appreciated). As is customary, ‘the hat’ will be passed around for the driver and guide on all optional excursions. For any meals that are not included in your itinerary, or taxi fares, your Tour Leader can advise of an appropriate amount. Casual lightweight daytime wear. A sweater/light jacket would be necessary for the spring and autumn departures when the evenings and early mornings could be rather cool. Comfortable shoes are a “must” for sightseeing. Smart casual clothes will be ideal for the evenings - the emphasis throughout being informality but with no shorts or vests in the restaurant in the evening. Please note that for clients wishing to play tennis on the hotel courts, correct tennis shoes for a clay court MUST be worn.